The Tradition and Excellence Continues. James Lawrence Duncan, 70, passed away 7:00 pm, Monday, October 9, 2018 at River View Rehab Center in Elgin. Born in Princeton, IN on September 3, 1948, he was the son of John and Ruth (Pauley) Duncan. 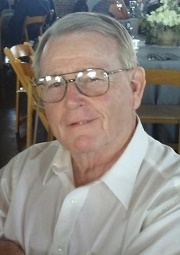 He was a 1966 graduate of East Alton-Wood River High School , where he had excelled in football and wrestling. Following a tour in the U.S. Navy, he became a sales representative for several companies before retiring. On March 22, 1969 in East Alton, he married Shon Watkins. She survives. Surviving also are two sons, Christopher (Kori) Duncan of Addison, IL, Anthony (Amy) Duncan of South Elgin, IL; four grandchildren, Ashley Duncan of Dallas, TX, Phoebe Duncan of Conroe, TX, Jaxon Duncan of South Elgin, Grace Duncan of Addison; brother, W. Leroy (Linda) Duncan of Wood River; sisters,Mary Duncan (Lary) Crouchley of French Lick, IN, Barbara (Randy) Mathies of Huntingburg, IN and Dona Duncan of Phoenix, AZ; nieces and nephews. Visitation will be from 4-8 pm Friday at Marks Mortuary in Wood River, where services will be conducted at 11 am Saturday. Rev. Daniel Ervin will officiate. Burial will follow in Rose Lawn Memory Gardens in Bethalto with military honors.